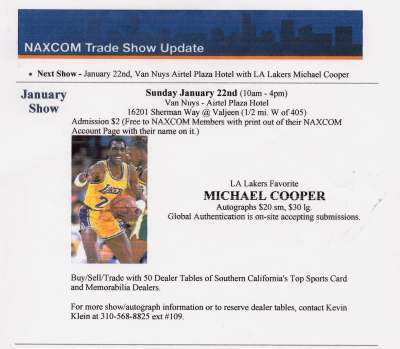 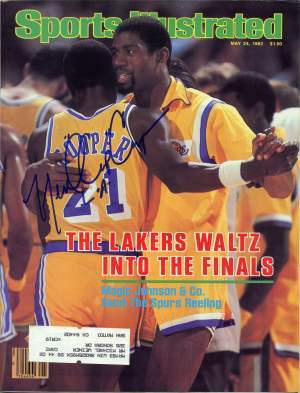 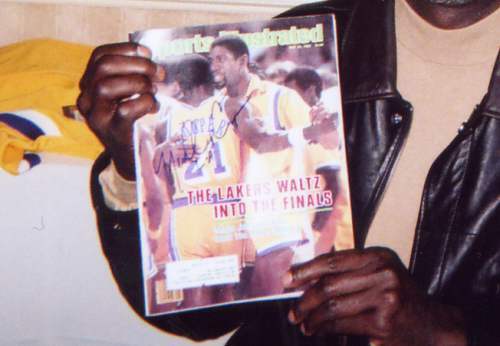 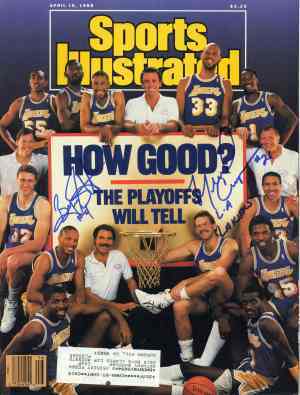 Michael Cooper signed for me at the Naxcom show at the Van Nuys - Airtel Plaza Hotel on January 22, 2006. 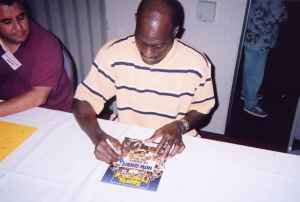 Thanks to Paul Rojo for the autograph networking. 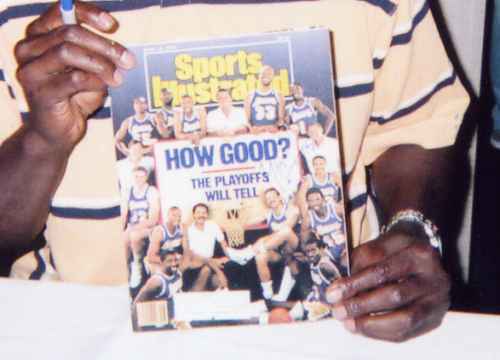 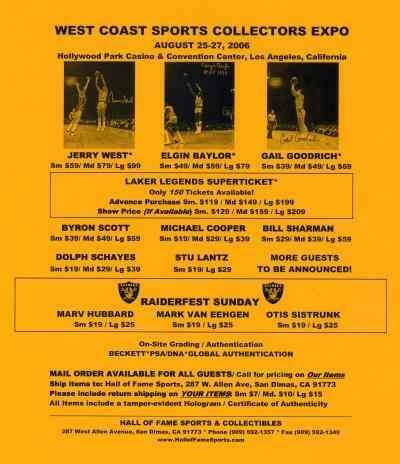 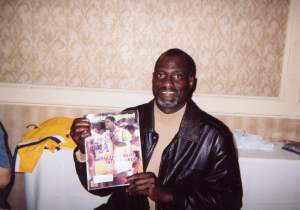 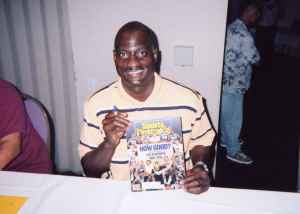 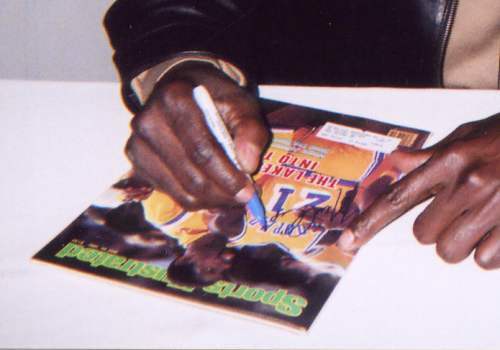 Michael Cooper signed a second time for me at the Hall of Fame Sports Show at the Hollywood Park Casino on August 26, 2006 in Inglewood, California.